Think of gift cards as valuable low-hanging fruit. When set up correctly and targeted to the right customer, they practically do the work for you. Something as simple as gift cards has the ability to ramp up sales and can ultimately add a nice boost to your bottom line. That’s because there’s a huge market for gift cards. According to a recent report, gift card sales hit nearly $130 billion in 2015, more than a six percent increase over 2014. Read on for tips on running a successful gift card program that feels right for your business. With Square’s gift card program, you can decide whether you want to work with predesigned templates or create your own custom look. There’s no subscription or redemption fee for cards, and they cost as little as a dollar per card, depending on your order. Once your gift card program is up and running, you’ll receive deposits for gift card activations in as little as one to two business days. To be successful at selling gift cards, you’ll need a strategy. Here’s a step-by-step guide. Determine your target customer. Will your gift card program be more attractive to new or returning customers? You can use your Square Dashboard to review spending habits and get insights about how you might best utilize gift cards depending on who’s shopping, how, and when. Set some goals. Look to your Square Analytics to determine estimated quarterly sales for your business and then come up with a goal for gift card sales. Decide where to sell your gift cards. Are you going to make your gift cards available in your store, online, or both? Placement of physical cards is important, so think about your store setup and whether signage and a location next to the register might help you maximize gift card sales. If you’re selling online, make sure you create a gift card section in the main navigation on your site. The more visible your gift cards, the better positioned you are for success. Decide when to stock up on gift cards. Keep in mind that typically, a large percentage of gift cards are sold in the fourth quarter, during the holidays, so plan accordingly when deciding how many cards to purchase and scale up the quantity of cards on offer for the last three months of the year. 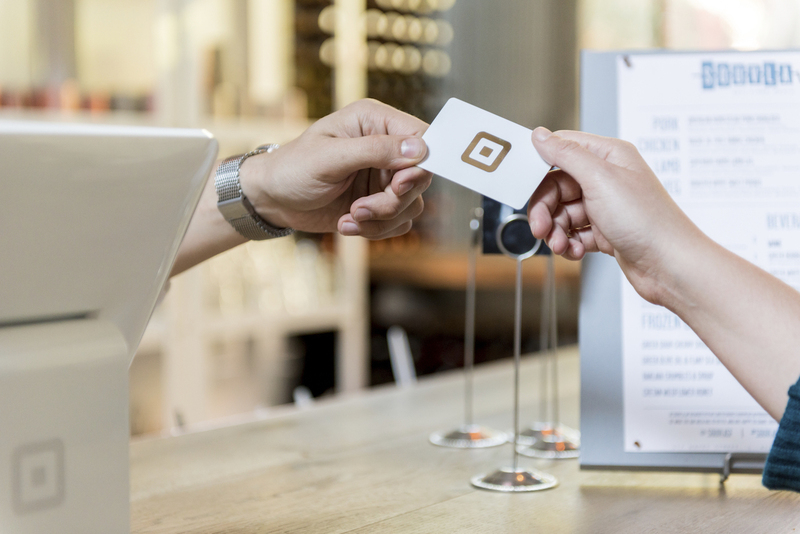 You can re-up on Square gift cards anytime. Determine your inventory. After you’ve done your homework and have a solid idea of estimated sales for the year, it’s time to figure out how many gift cards to purchase. Do you want to start small and place additional orders throughout the year on an as-needed basis? Or do you want to go big and bank on strong gift card sales? Square provides three options for ordering. A starter pack requires a minimum purchase of 20 cards (at $2 per card) and offers four card themes from which to choose; a quick card pack requires a minimum purchase of 125 cards (at $1.30 to $1.50 per card) and applies your business name to a template card; custom card packs require a minimum order of 500 cards (at $1.00 to $1.50 per card) and allow you to fully customize your business’s gift cards. Manage your inventory. Throughout the year, keep close track of how many gift cards you’ve sold in relation to how many you purchased so that you can place orders for additional cards before you run out. You never want to risk having to turn a customer away because you goofed on supply. Gift cards are integrated right into your register and Dashboard, so you can sell, redeem, track, and reload without any additional tools. Plus, gift cards show up in all your reporting. You can even export a full report of gift card sales right from your Square Dashboard. Additionally, think about the price points of the gift cards you’re offering ($5, $25, $50) and the merchandise that your business sells for those amounts. Use Square’s inventory management tools to track stock quantities and sign up for email alerts when items start to run low so that you never run out of those gift-card-worthy items. Have an accounting strategy. Now that you’ve determined how much of your budget to spend on gift cards, you want to keep an eye on your progress by staying on top of sales and continuing to manage your budget using Square’s reporting tools. Through Square Analytics, you can see how much you sold this week, last week, last month, and even six months ago. The reports can even help you figure out why sales might be up or down. Monitor customer behavior. Take the guesswork out of selling by getting to know your customers better. Square’s email marketing and customer engagement tools help you build a customer directory right from your register and provide valuable customer insights that help inform your business decisions. You can also monitor private feedback that customers give through digital receipts. Meanwhile, Square Analytics shows you behaviors and patterns — how much customers spend and how often they return — arming you with the details you need to make the best decisions. Plus, Square’s free Dashboard app means that you can do all this no matter where you are.